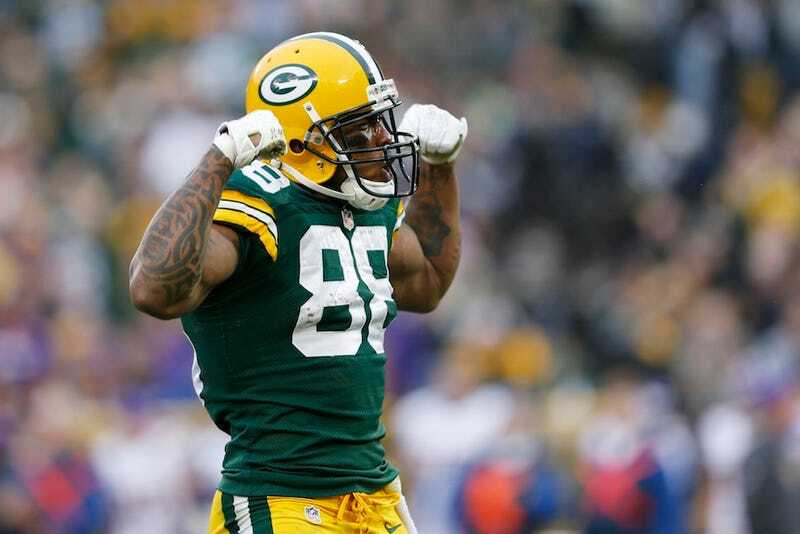 Green Bay Packers tight end Jermichael Finley has got a bit of an issue on his hands. After garnering some good publicity for his pledge earlier this week to donate $500 to a Boston charity for every dropped pass and touchdown he records this season, he’s awoken Sunday morning to a shitstorm of accusations ranging from delinquent child support, a possible assault and further infidelity. It’s important to note that this is just one side of the story. Neither Finley nor his wife have addressed Chelsie’s claims, but the most pressing—child support, the violent behavior at the bar—are such that they should be easy to confirm.